As many as 37% or more Americans don’t have dental insurance. What happens when you suddenly have to pay for a huge operation? Aging causes your teeth to become weaker and more susceptible to decay. Old fillings can weaken your teeth and previous operations may not hold the way they once did. Getting older is, by no means, the time to stop regular visits to your Philadelphia dentist. Yet many people in their 50s and 60s—the baby boomers, which constitutes the largest proportion of the American population—don’t have dental insurance, either because they’re working part-time, they’re contracted rather than regular employees, or they’re self-employed. Medicare won’t cover the basic costs of dental care that folks need to maintain healthy teeth. That means cleanings, fillings, dental plates, dentures, tooth extractions—you name it—are not included in Medicare coverage. While the Affordable Care Act mandates children’s coverage as one of the 10 essential health benefits, there exists no such insurance requirement for adults. And though you can buy it in every state except Washington, that’s only if you are also buying a health care plan through the marketplace. Here is a breakdown from Healthcare.org, if you are considering buying dental insurance this year.. If you’re in your 50s or older and don’t have dental insurance, don’t panic. Though this can be financially challenging, there are other options out there for you. 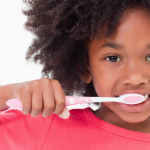 First: if the cost is high, then ask your dentist if there are alternative treatments that might work. Call around and see if other dentists have similar prices. 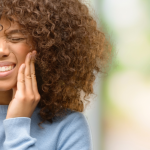 Getting a Dental Plan, which is different from a regular insurance, is an alternative that more and more people are turning to. These are essentially clubs that require you to pay an annual membership fee and in return you receive deep discounts on dental operations. In addition, you don’t have to wait for an insurance to approve your operation, nor do you have an annual spending limit. Plans differ according to your needs. 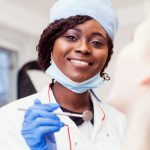 Consumer Reports Money Advisor advises people who can’t pay for an expensive operation to go to a dental school, because it’s the lowest-cost alternative for dental care. At a dental school, you benefit financially from being in an educational setting, not a for-profit one. You’ll be treated by dental students who are overseen by experienced professionals. Penn Dental Medicine offers this option for people seeking a cheap Philadelphia dentist. Remember, your teeth deserve the best, and maintaining proper care and treatment is one of the most natural and effective ways to preserve your youth and vitality. 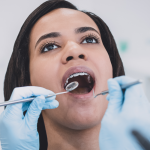 Learn why Forbes calls dental work “the new anti-aging procedure.” Even if you can’t afford dental insurance right now, there are always other ways to get what you need. If you need immediate attention, start your entry process with Penn Dental Medicine with this simple online form. You are guaranteed to get the lowest price possible for your care (after covering operating costs), and will be treated by a team with a high standard of professionalism. Choose quality AND low cost for a Philadelphia dentist. Call Penn Dental Medicine for an appointment today at 215-898-8965.